George Lazenby was originally chosen to play the role of Sean Mallory in “Duck You Sucker” and accepted, but eventually he declined the role. Lazenby also declined the role of James Bond after he appeared as the spy in “On Her Majesty's Secret Service”. 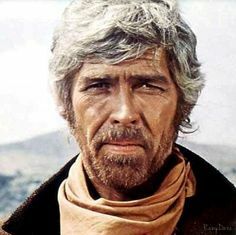 In “Duck You Sucker” George was replaced by James Coburn and in the role of James Bond, George was replaced by Sean Connery who reappeared as Bond in “Diamonds are Forever”.